A new NASA mission, called InSight, may give us further understanding of what exactly causes "marsquakes". Set to launch next month, it could be one of the most important Mars missions to date. Thanks to NASA’s InSight lander, scientists will soon be able to investigate “Marsquakes” and learn more about the planet’s formation. The earth is almost always trembling. If you live somewhere like New Zealand, seismic activity might seem commonplace, as the island experiences some 15,000 earthquakes per year. It’s estimated that about half a million detectable earthquakes occur on the whole of Earth each year, but people feel only about a fifth of this number. Yet, these Earthly tremors also exist on other celestial bodies. In addition to earthquakes, there are also moonquakes, sunquakes, and marsquakes. Like Earth, Mars is not exempt from quakes. It appears that seismic activity is still at work on the planet. Earthquakes are one of the most dangerous and unpredictable forces of nature that can cause large-scale devastation. Triggered by the movement of tectonic plates, earthquakes happen when these plates break, slip, or give under stress and send colossal amounts of energy rippling through the crust. The study of earthquakes, or seismology, helps us investigate the internal geophysics of Earth and the origins of seismic waves. Seismologists’ main goal of understanding the mechanisms of earthquakes is to develop prediction methods to prevent the risks associated with this natural phenomenon. 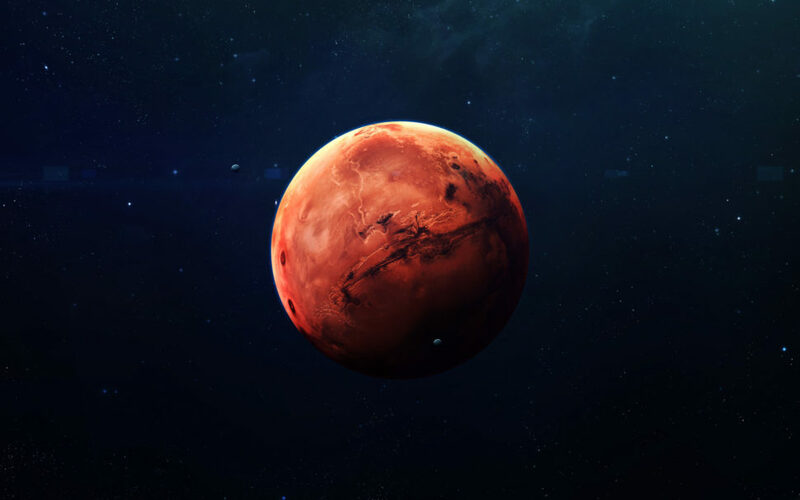 On Mars, however, while marsquakes happen less frequently and at lower magnitudes, they could provide scientists with more insights about Mars and the formation of planets. Because of its smaller size, Mars is far less seismically active than Earth. This helped the planet preserve its early geological makeup. In addition to the study of the atmosphere and the soil of Mars, planetary scientists will soon be able to look beneath the Red Planet’s surface in search of geological clues. NASA is preparing to launch a probe dedicated to the study of Marsquakes. Called InSight (short for Interior Exploration using Seismic Investigations), the mission is scheduled to launch on May 5, 2018. InSight will carry with it a seismometer specifically designed to operate on Mars. Called the Seismic Experiment for Interior Structure (SEIS), though not the first seismic detector on Mars, it will be NASA’s most accurate seismometer on the planet to date. SEIS will use a host of sensors to take measurements of temperature, the magnetic field, pressure, and wind and subtract the noise caused by weather conditions and allow for more precise seismic readings. As seismic waves travel through Mars’ interior, they encounter a variety of rocks of different origins and composition. SEIS will detect whether these were generated by marsquakes or meteorite impacts and record their frequency, speed, and magnitude. This investigation into the seismic activity of Mars may also be a help to future colonization plans as we get a better understanding of the geological makeup of our red neighbor. Do you think NASA will find anything surprising on this seismic investigation?